Tying description : Use f.ex Cernit (modelling clay. Art. Nr. 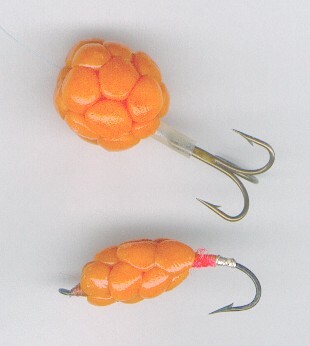 022 orange), make small balls, create a look-a-like cloudberry on a tube or a hook, bake at 100-130 C (215-270 F) for 15-20 minutes, finish with flytying lacquer, glue or transparent nail polish for shining balls. If you find the fly a bit superfluous, take less roe balls. One, two or three could be enough on a hook (optional). What is important is the ball size and colour. Yes, I stripped (slaughtered) a kind of Orange Charm Salmon Fly and left parts of the body (optional). I can understand if some of you find the creation a bit odd ..... and even far away from the Art of Fly Fishing. For you puritans and now indignant see below, there I have put some help to lower your blood pressure ! This service is to link you to pictures of nicely tied flies with help from Google Image Search. You will probably also find pictures that not correspond to the specific fly that you wished to view .... but in most cases it works. 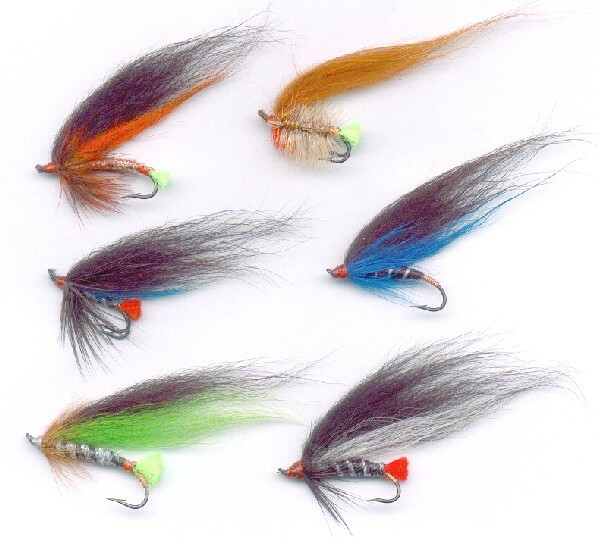 Thus, find Classic Salmon Flies and other flies by pasting their name within the quotation mark in the field below: "Jock Scott" "Green Highlander" "Blue Doctor" "Spey Ghillie" "Blue Charm" "Orange Norseman" "Montana Nymph" etc. Of course you can also paste and search for images on Fly Rod names, Reel names Hook names or whatever. Ohps ! 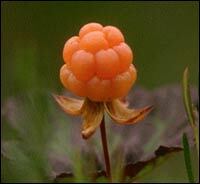 Thought that the Cloudberry was a berry that was well known all over the World. Actually the berry it self is not the main thing here, more as a kind of a metaphor for Salmon roe. 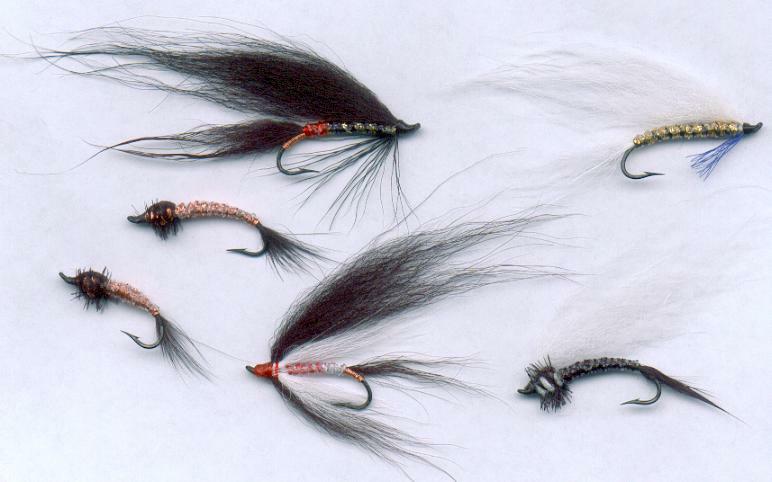 In my mind the "Salmon Roe Fly" do not beat the more tasty and fancy name "Salmon Cloudberry Fly"